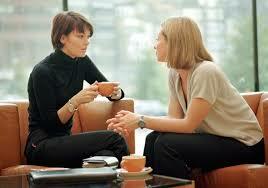 Communication is the foundation of living and often we get in the trap of listening to fix or survive a conversation. This talk is going to give you the tools to stay checked into conversations and to see another’s point of view. Join us for this interactive talk with Tina Brigley that will allow you an opportunity to uncover for yourself things that get in your way of communicating with the important people in your lives. Tina has been featured in the Drive magazine, has been a key note speaker for women’s retreats and networking groups and a TedX Windsor speaker. Her talks hit home with the idea that our stories create our biology and when we uncover our stories we can tap into our authenc selves, free from the constraints from the past. Tina has her Hons. B.A. in Psychology, B.A. in Education and has attained her Health Coaching Certification through the Health Coach Institue. She was an educator for 13 years and also has a personal mission to cause change in the education system by supporting educators. Do You Like This Event?